If you don’t already follow @partywithlenzo get onto it! Their Party event inspiration is full of happiness, brightness and energy! 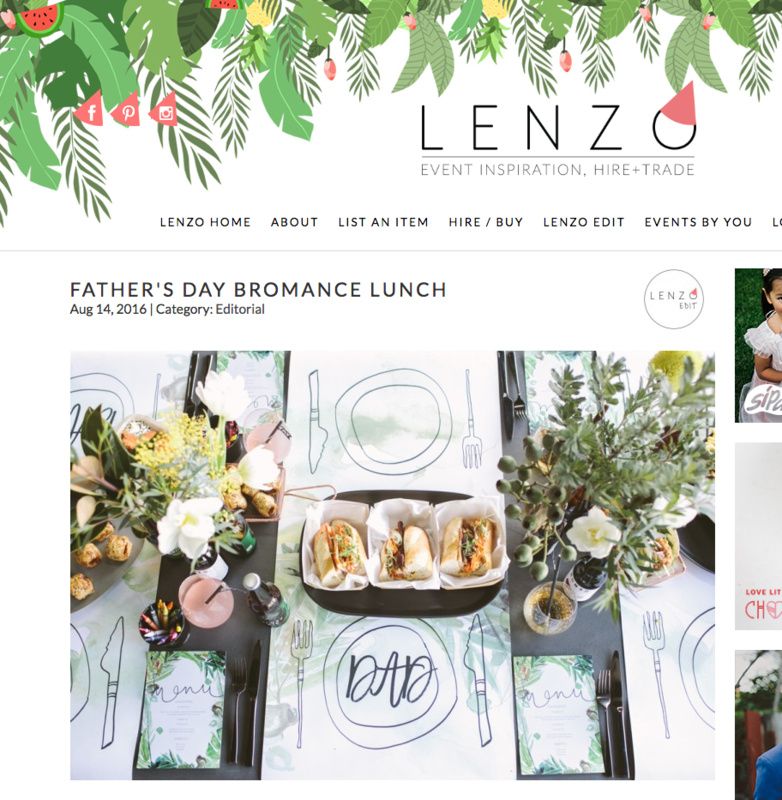 I was super excited when Party with Lenzo asked me to shoot their Fathers Day Special. I was not sure what to expect as Fathers Day would of course not be pink and full of blooms, how would they style for fathers day yet keep it fun and manly? ( this is why I am the photographer and not a stylist!) And boy did Lenzo blow me away. The amount of yummy food was insane! Pretzels, hot jam donuts, party pies, fizzy drinks with funky straws, emoji balloons, rocky road. Green foliage in beer bottles. A bar. A photobooth. Kick of the Footy. Navy blue, browns, greens. It was beyond what I expected. And most fun of all, I got to capture 3 father sons. All so unique & different in the way they interact with the boys but all so full of love and affection. More to come on Fathers Day!